Was it a straightforward fit? Wow. looking good. I am thinking about replacing the 2 tankparts also. The originals do scratch so easily and become ugly. Only is the price of the Ilmberger stuff a bit steep. But ... IT LOOKS GREAT! Good job! Nice one thanks for the info. 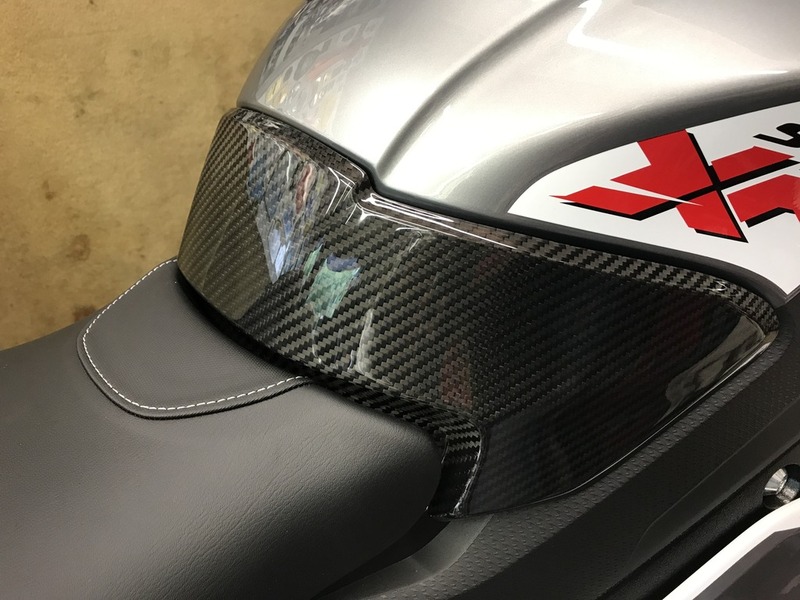 I was thinking of fitting one myself as I like small amounts of carbon in the right place and I think this would go well with my front mudguard. IMO Illemberger are the best and the only carbon I will fit. That looks really nice could I ask where you got it had a look online can only see carbon front mudguards etc.